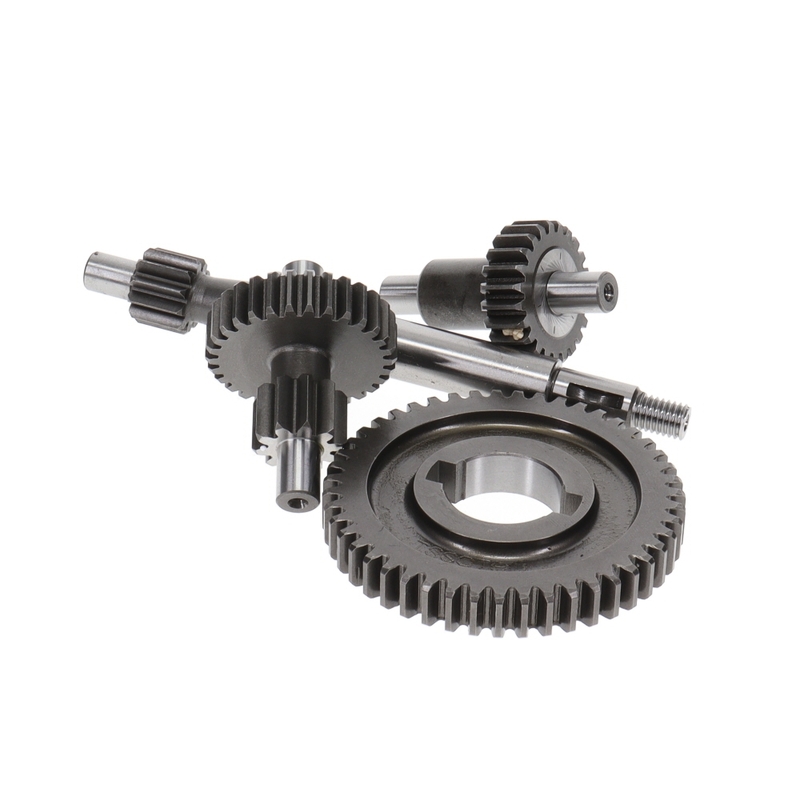 malossi straight cut race gears for variated vespa and kinetic mopeds. ciao, bravo, grande, si and the rest. change your ratio from the stock 12.25:1 to 8.93:1 for more top speed! your missing ingredient in the vespa speed equation. you may find that these gears can be a bit hard to turn at first. don't be dismayed. that's how they are. they are very stiff at first. you may want to read some info here for inspiration and instructions on how to put these in yer bike!!!. you'll need a new gear box gasket when you put these gears in, so might as well get one now. you MAY need to re-shim your transmission as the dimensions of the malossi gears are slightly different. often times they bind up a little bit and need a thinner shim behind the output shaft between the gearbox housing and pedal disengagement spring! grab one or two here! worth it people... get it and go fast, the missing piece in your vespa speed equation. easy to install too, and yeah they are a little tight at one spot during rotation but from what i've been told this is normal and will go away after a week or two of riding. My gears took a little while to break in. When I first put them in, the wheel seemed hesitant in certain spots. After riding and easing the kit I was breaking in, I pulled my hub to swap the gears. You'll probably want to do the same after 100 miles or so... you won't believe how much comes off these gears during break in. Don't be a newb and use nasty gear oil! Put some fresh in and commence to RIPPING! ugh why are these so expensive? ?